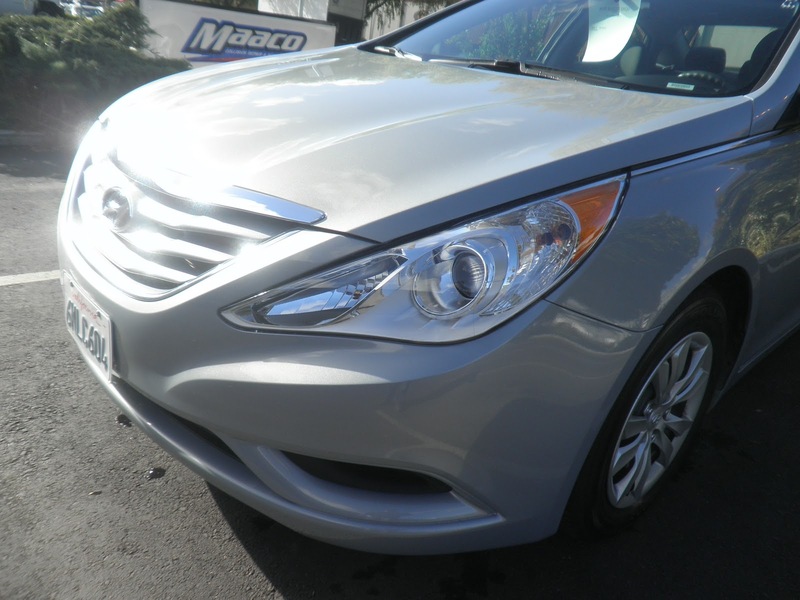 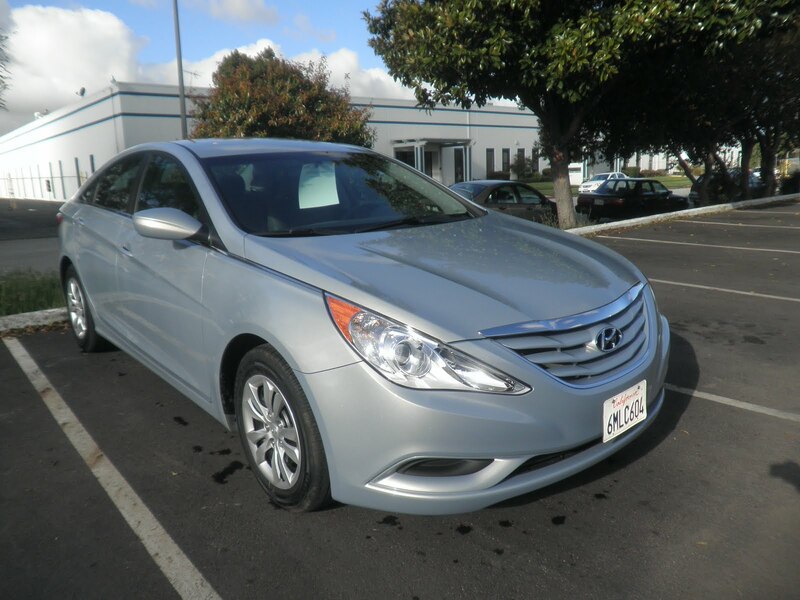 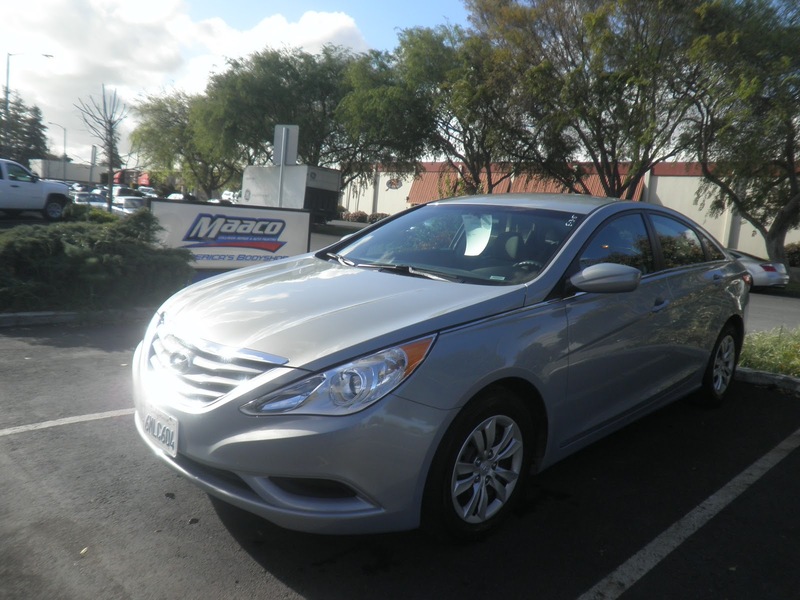 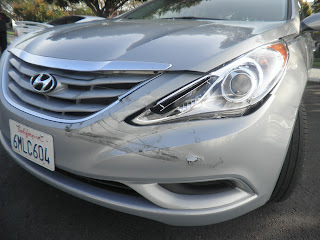 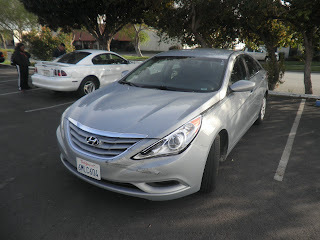 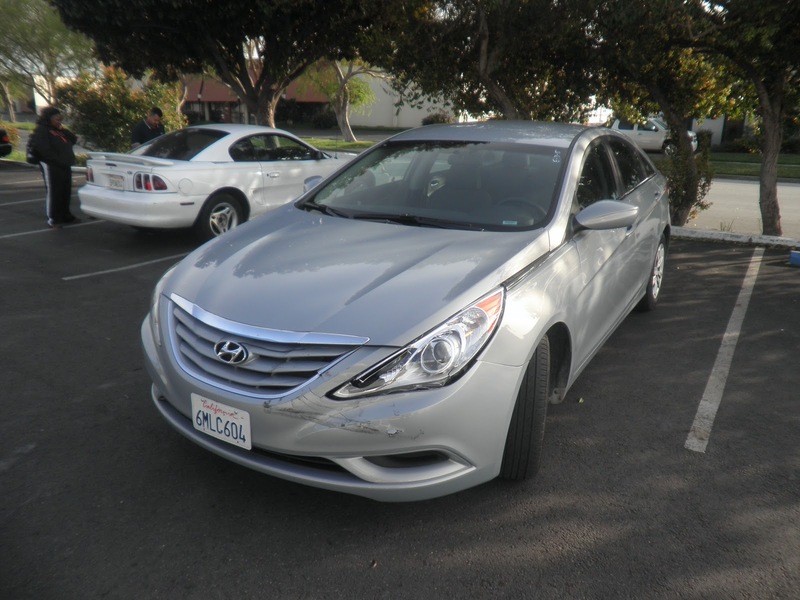 Today's Car of the Day is brand new 2011 Hyundai Sonata tha came in with Insurance claim to damage on front end. Almost Everything Autobody replaced the front bumper cover, front bumper reinforcement, front grille assembly, left headlamp, hood chrome moulding and inner fender cover. 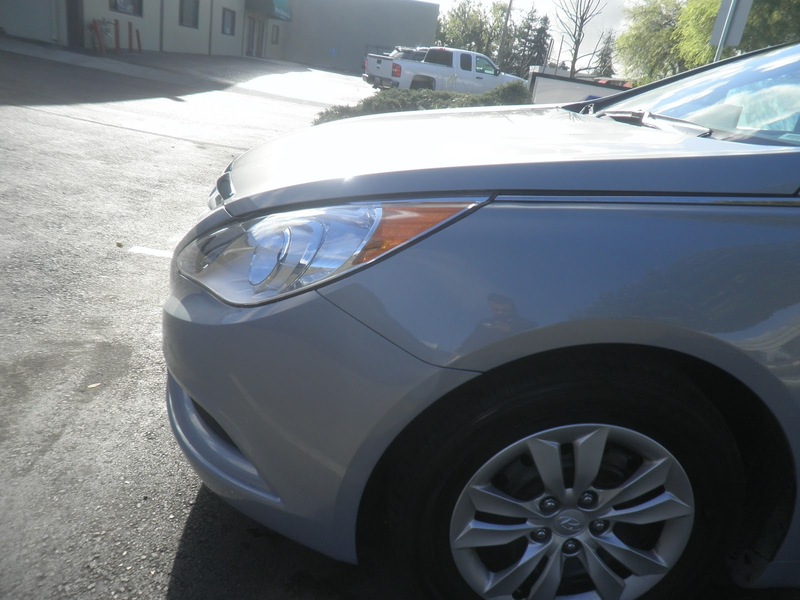 Almost Everything Autobody repaired dents on the left fender, removed the left rocker panel and left fender skirt for paint. 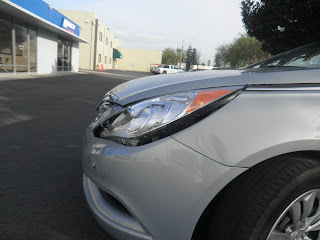 Almost Everything Autobody painted the left fender, front bumper cover and front grille with factory paint to match the rest of the car. Finally Almost Everything Autobody color sand and polish the painted areas for a factory finish.